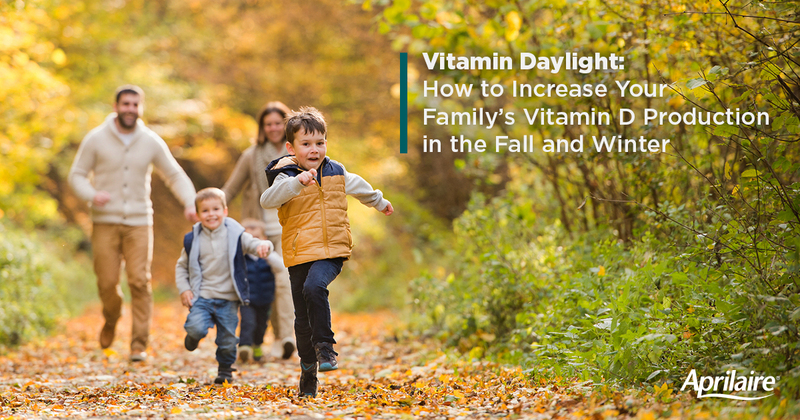 Getting enough of the “sunshine vitamin”, or vitamin D, can prove to be a challenge as the days get shorter and we see less sunlight. Vitamin D is an important nutrient for our overall health. It helps regulate our calcium and phosphorus levels, two minerals that are essential to our bone health. While you might think bone health is the only benefit, there are actually many more. Unfortunately, nearly three-quarters of Americans are deficient in vitamin D.
According to WebMD, there are several symptoms and health risks that accompany vitamin D deficiency including bone pain and muscle weakness. Don’t let the colder temperatures be your excuse for not getting any sun. Talk a walk on your lunch or play outside with your kids. If you’re able, plan a family vacation in a warmer climate to really get some sun this winter. Eat plenty of foods that are high in vitamin D: Oily fish (salmon, sardines), orange juice, breakfast cereals, red meats, egg yolk, cheese, tofu, mushrooms, and fortified products. Artificial light is another option when natural light is hard to come by. Most light therapy boxes don’t increase vitamin D levels, but they can be effective at preventing seasonal affective disorder. The only vitamin D lamp currently approved by the FDA to actually increase your vitamin D levels is called the Sperti. It is priced at over $400 but can be used everyday and can save your family the cross country airfare to find sunshine. If all else fails, you can complement your vitamin D routine with some supplements. Excessive intake should be avoided so it’s important to talk to your doctor before beginning any on your own so they can recommend a correct dose based on your current levels. Lack of sunlight isn’t the only concern when the temperatures drop. It can be much harder to get fresh air in your home during the winter, but it’s important that you do. For some easy tips on how to increase your fresh air levels, visit our Aprilaire Healthy Home 101 series. *Note: The contents of this page are not meant to be medical advice. Please consult your physician if you have concerns about the health of you and your family.